The ultimate motivation boost for entrepreneurs. Hint: It’s not an inspirational poster. It’s one of those gloomy afternoons when you can’t make progress. Each topic you attack seems inexplicably stuck. Each task resists like it’s been cursed by the bad witch of unproductivity. Doubt starts to creep in. You’re thinking: What if this whole project fails miserably? Maybe I don’t have the skills? Am I wasting my time? And then, out of nowhere, A NEW SALE NOTIFICATION. Suddenly, it’s like a magical ray of sunlight touched your desk. The curse is lifted. You feel energized, inspired, and fired up to serve this new customer! Asking around “Would you pay for this thing I’m creating?” is a sure path to painful disappointment. Especially if you’re asking your friends. However, when your audience starts reaching for their credit cards, that’s the market validation you want! If they bought after a trial period, it’s even better: they put your whole product to the test before deciding to pay. How awesome is that? Congratulations! We love to get to know our customers. We try to start a conversation with each new one through Intercom. Their advice is precious, and many CashNotify features only exist because customers requested them. Of course, only a minority of customers reply to our emails. But even when they don’t, we can often discover their business from their email address. 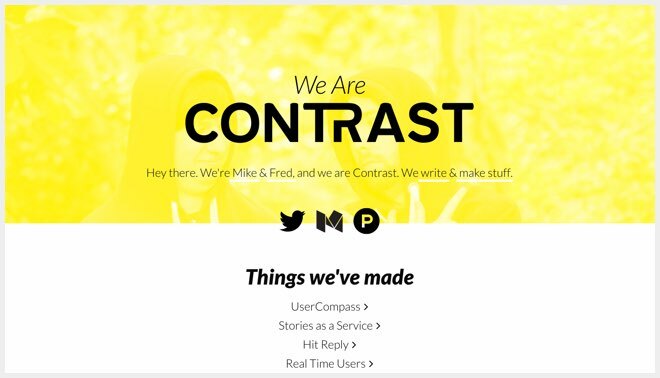 Contrast is the team behind UserCompass, a slick Stripe app for creating automated customer surveys. They are from London, UK. 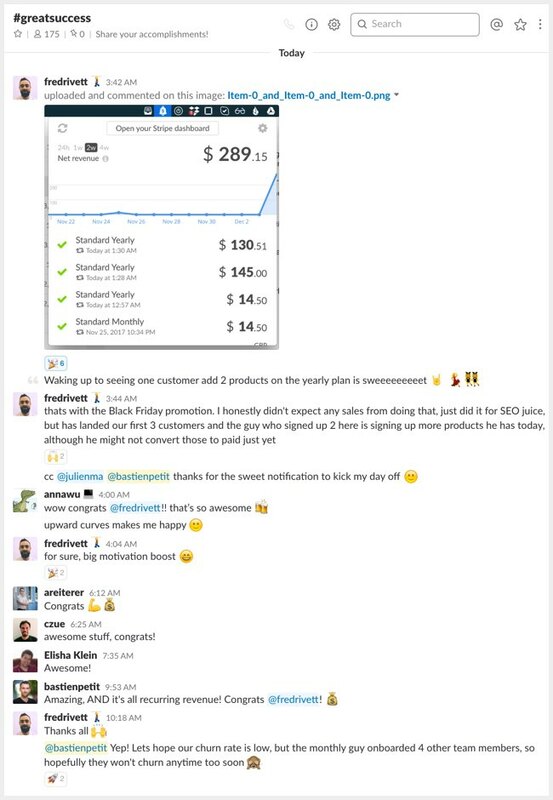 Glad to read about the first sales on UserCompass! 👋 Hi Fred & Mike! Sea Dragon Studio are independent designers of extra-sparkly holographic festival wear. They ship worldwide. “Peace, love & disco balls” 👋 Hi Jesseca! 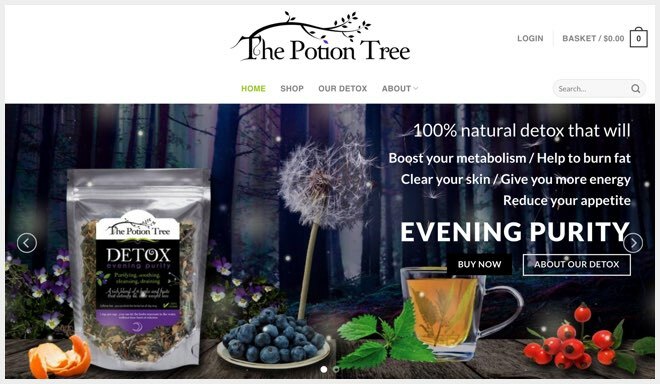 The Potion Tree creates delicious detox infusions from natural ingredients. They ship worldwide from Wellington, New Zealand. What a neat little shop! 👋 Hi Laura! 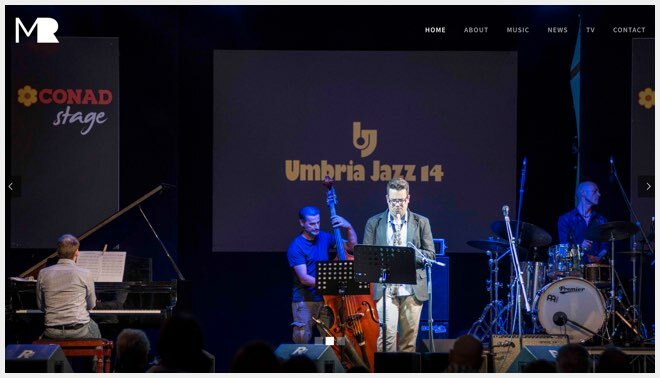 Mike Rubini is a multi-talented musician and entrepreneur from Italy. He recently launched Angage, a platform for discovering e-commerce products. Congrats on the successful Product Hunt launch! 👋 Hi Mike! We find it exciting to discover our customers’ businesses and hear about their challenges. We also believe that we do a much better job when we create for other entrepreneurs we can identify with. A new payment is the ideal opportunity for a big high-five with your team. You can do it in Slack if you don’t have an office. Great work, we’re proud of you! You can also share your enthusiam outside your team. With friends? On Twitter? Within a small community of other hackers/designers/entrepreneurs? It’s also worth looking at the source of the sale. Is it an article you wrote? A page that performs well on Google? A coupon you created? Whatever it is that worked, keep doing that! CashNotify is at its beginning, our own audience is still small. We have days without a sale. We even have consecutive days without a sale 😱. Despite our modest numbers —a license is only $29.90—, we’re addicted to new sales, and each one makes us ridiculously happy. Revenue is an expected outcome. We don’t control it. It’s in the hands of our audience when they decide to buy — or not to buy. However, there is a lot we CAN do to influence sales. Things that are 100% in our control. And that can become part of our daily routine. Find 10 potential customers a day and send cold emails to each of them. Write at least 1 piece of content a day and promote it in at least 3 places. Promote your startup in at least 5 different places a day. Create and run a new ad for 1 week every week. Find at least 4 people talking about or asking questions about topics related to your startup a day and write them a detailed, personal answer. New sales notifications are a powerful motivation boost. They inspire us to get things done. And stimulate us to invest more energy on actions that actually impact the revenue graph. What can YOU start doing every day to impact your sales the most? 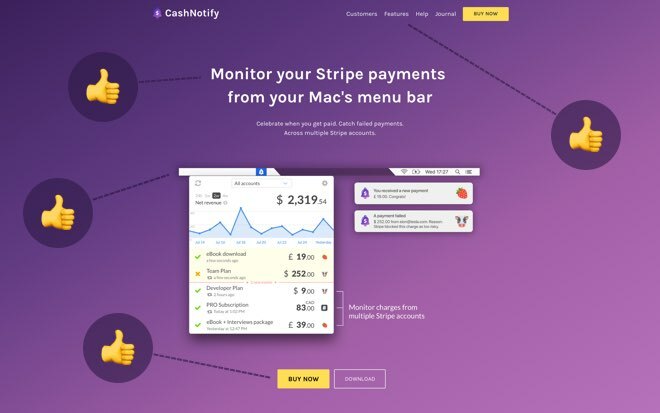 CashNotify is a macOS menu bar app for Stripe. You can download the app and try it for 7 days. Let us know how you like it!